22 Plinkster Reviews the Scorpion 22 WMR! 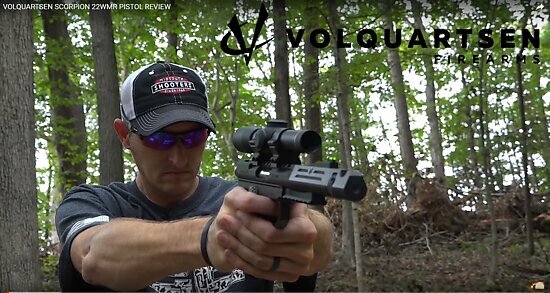 Finally, a video review of the 22 WMR Scorpion! Many of you have asked to see this pistol in action, and now you can. 22 Plinkster has just released his in-depth review of his Scorpion 22 WMR. This video covers function testing with ammo from 35 grain all the way up to 50 grain. It also covers accuracy testing out to 100 yards! Have You Tried These Easy Fixes? Do you over complicate things that are sometimes simple? If so, we have a lot in common as I will over analyze the simplest things. As I get older though I am finding it doesn't always have to be so complicated. This also applies to troubleshooting firearms. There are a few questions we ask to help isolate the issue with a malfunctioning firearm. Do you own one of these firearms? If so, have you experienced extraction problems?